FORT KNOX, Kentucky (June 5, 2015) – U.S. Army Human Resources Command, or HRC, has announced the personnel transition strategy and procedures for reclassification to Military Occupational Specialty 17C, or MOS 17C, cyber operations specialist, for active-duty Army enlisted personnel. The transition strategies only apply to Soldiers presently serving with the 780th Military Intelligence Brigade, 7th Cyber Brigade and Joint Force Headquarters-Cyber in the ranks of private through master sergeant; however, the reclassification process is open to all enlisted Soldiers, who meet the eligibility criteria. “The Army continues to gain tremendous momentum recruiting an innovative and agile cyber work force,” said Brig. Gen. Karen Gibson, deputy commanding general, Joint Force Headquarters-Cyber, U.S. Army Cyber Command. “The reclassification decision to Military Occupational Specialty 17C, and the newly announced military personnel, or MILPER, message, demonstrate the Army’s investment in training Soldiers to combat the growing cyber threat. “This move demonstrates the Army’s commitment to operating in cyberspace by investing in the most critical component necessary to work within the operational domain – a talented, trained and highly-focused corps of world-class operators dedicated to the mission,” said Col. Douglas Stitt, director of HRC’s Enlisted Personnel Management Directorate. Specific requirements and detailed guidance for the transition process are spelled out in MILPER 15-165. “By the end of September, HRC will transition all-approved Soldiers, presently in those units, in the rank of private through sergeant first class, who possess additional skill identifier E6 [interactive on-net operator E6 ASI] to MOS 17C. These Soldiers will retain their E6 ASI,” said Jim Bragg, Retention and Reclassification Branch chief in HRC’s Enlisted Personnel Management Directorate. At the same time, HRC will transition, like ranked Soldiers, to MOS 17C, who are presently assigned to work roles as interactive operators and access network operators; exploitation analysts, digital network exploitation analysts, cyber defense analysts and cyber security analysts; and cyber planners, he said. “Transitioning Soldiers, in these categories, will incur no additional service remaining requirement [SRR] and will not be required to recoup any enlistment or re-enlistment bonus applicable to their present term of service,” said Brandon Race, SRB and Critical Skills Retention Bonus program manager with HRC’s Enlisted Personnel Management Directorate Retention and Reclassification Branch. Unit commanders will be responsible for verifying certifications, training and job qualifications of transitioning Soldiers, he said. “In addition, promotable sergeants first class and master sergeants, in those units, may request a voluntary reclassification to MOS 17C. They will have to submit a DA Form 4187, personnel action, through the Army Cyber Command to the Office of the Chief of Cyber, U.S. Army Cyber School. These senior NCOs [noncommissioned officers] will incur an additional three-year service obligation upon reclassification; however, they will not have to recoup any type of bonus received for their current term of service,” Bragg said. 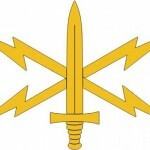 “The Army establishment of cyber as a new career field enables the assignment management and professional development of these uniquely-qualified Soldiers within a singular career branch,” said Lt. Col. Tim Groves, Cyber Branch chief of HRC’s Officer Personnel Management Directorate. Each unit will be required to submit a consolidated roster of MOS 17C-eligible Soldiers to the Office of the Chief of Cyber, OCC, before the window closing, Aug. 15, he said. Any qualified enlisted Soldiers, not transitioned to MOS 17C by that date, will have to follow the reclassification procedures outlined in MILPER 15-164. 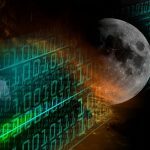 “The Army is simultaneously encouraging enlisted Soldiers, with the requisite skills, to reclassify as cyber operations specialists and come under the MOS 17C umbrella to execute both offensive and defensive cyber operations that support the full spectrum of military operations across all domains,” said Sgt. 1st Class Jason Fischer, professional development NCO for HRC’s Cyber Branch. Enlisted Soldiers, in the rank of staff sergeant and below, must meet noncommissioned officer education system qualifications for promotion, including structured self-development courses. Soldiers must also ensure they do not exceed the following time in service limits: less than four years for privates and specialists; less than 10 years for sergeants; and less than 15 years for staff sergeants, Bragg said. Sergeants first class must be graduates of the Advanced Leader Course with at least nine, but no more than 20 years of time in service, and must have a minimum of 36 months of time in service remaining upon completion the MOS 17 producing course. Soldiers, who have not previously attended a senior leadership course will attend the MOS 17C senior leadership course sometime after completing the MOS-producing course, he said. Master sergeants interested in reclassifying must have at least 11, but no more than 24 years of time in service to be eligible. Successful candidates will attend specific cyber-mission force functional training before reporting to their initial MOS 17C assignment, he said. Soldiers, who meet the prerequisites, may request reclassification through servicing career counselors. Once packets are approved by the OCC, career counselors will forward them to HRC, Bragg said. All qualifying Soldiers will accrue a three-year SRR upon completion of training and must attain an interim top secret clearance before attending MOS 17C training. HRC will schedule MOS 17C Phase 1 training at the Corry Station Naval Technical Training Center in Pensacola, Florida, and Phase 2 training on Fort Gordon based on course dates and the availability of the Soldier. Upon completion, Soldiers will be assigned based on the needs of the Army, Fischer said. Soldiers should direct questions, regarding re-enlistment and reclassification, to their servicing or installation career counselor. Effective with the publication of the MILPER, HRC is accepting voluntary reclassification requests from Soldiers across the force, Race said. The rigorous aptitude rating requirements are spelled out in the MOS Smart Book (DA Pam. 611-21). “Career counselors should seek clarification and guidance on eligibility criteria from the enlisted division, OCC, in the Cyber Center at Fort Gordon,” said OCC proponent sergeant major, Master Sgt. Jesse Potter. “Cyberspace operations are a reality of 21st-century warfare, and the Army is committed to integrating cyber within its operational process,” Groves said. “These expanded recruiting efforts allow the Army to manage the talent pool required for daily operations in the cyber domain,” said Gibson.